Comprising a selection of contemporary state of the art research that focuses on psychological type, religion, and culture, this book can be divided into two particular areas of research. The first section focuses on the religion and psychological type of Church leaders, while the second section reports on Church members, their religion, and their psychological type. 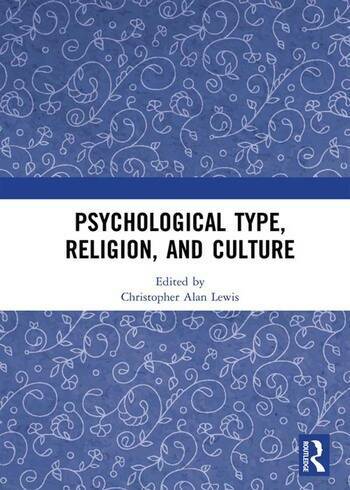 The book attests to the importance of Jungian Psychological Type theory in understanding individual differences in religiosity within a variety of samples. Authored by a wide range of international scholars, employing a wide range of measures, among diverse samples and in a variety of different cultures, this research provides an important contribution to current and future research. It facilitates future research work in the area outside of the white, Anglo-Saxon, Anglophone, Christian context on which it has traditionally been focused. This book was originally published as a double special issue of the Mental Health, Religion & Culture journal. Christopher Alan Lewis is Professor of Psychology and the Director of the Alister Hardy Religious Experience Research Centre at Glyndwr University, Wrexham, UK. He is also a Distinguished Visiting Professor at Bashkir State University, Ufa, Russia. He is co-Editor of the Mental Health, Religion & Culture journal.